In the most simple breakdown of debt collection legal obligations, a creditor has up to seven years to file suit to collect on that outstanding debt. The date that is considered for the seven-year term is the date that the debt was issued, or the date of the latest payment received on the debt, whichever is later. For example, if a loan was made on July 1, 2010, and no payments were made on that loan, suit for collection would have to be filed before July 1, 2017. However, if any payments were made towards that loan, regardless of the original date issued, the final payment date resets the seven-year term. So, if a payment was made on January 5, 2018 — though it is beyond the original statute of limitations — the creditor may now sue as late as January 4, 2025 (unless another payment is made, which will only extend the statute of limitations date). There is one exception to the seven-year term: Judgements. Should a suit be awarded in court, the debt can be actionable (pursuable in court) for up to 10 years. If a suit was awarded on January 1, 2010, the creditor can pursue legal remedy, including renewing the 10-year term, until December 31, 2019. 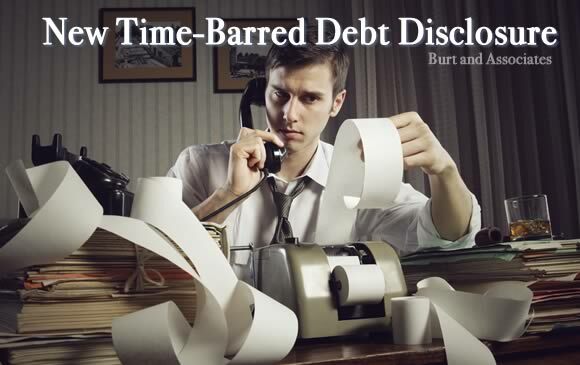 Similar rules and technicalities apply with judgments as with the original debts. For example, if a payment was made towards the debt, post-judgment, on July 1, 2015, the creditor would now have until June 30, 2025, to engage the court in collecting the original debt. DISCLAIMER – State-specific codes may alter the length and means of collection. Be sure to speak with a licensed attorney in your state to know if any exceptions apply to your area. The specific requirements of disclosing the statute of limitations of debt collection, and the degree of detail to which would satisfy disclosure regulations, is a topic of considerable debate. Some feel that it is a level of detail that would place an undue burden on the creditor. Many declare that it would skirt unauthorized practice of law as it would have non-attorneys explaining matters of law that would influence a binding decision/action made (which would expose the creditor to duress allegations and defenses, as well as potential criminal repercussions). The law has remained vague, or otherwise silent, on the particulars of this matter. Courts have not been moved on the matter, either. 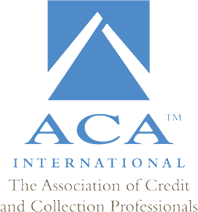 As of November 2018, a western district court of Oklahoma decided that a debt collector was not in violation of the Fair Debt Collection Practices Act after a collector did not disclose to a consumer that a debt was outside of the statute of limitations and the creditor was unable to sue for it. The issue of law that was called into question was the code (FDCPA § 1692(e)) prohibiting using false and misleading representation to consumers. In Douglas v. NCC Business Services, Inc., No. CIV-18-0005-F (W.D. Okla. Nov. 7, 2018) a debt collection agency placed the consumer’s expired account on her credit history. The consumer and her advisor contacted the collector after the consumer was denied a home loan. During the conversation, the consumer was offered an opportunity to close the account but was not informed that making any payment towards the old debt would renew the statute of limitations which at the time was not an actionable debt. The collector stated that it was not responsible for disclosing such detail of the law. The consumer filed a suit against NCC Business Services, Inc., (“NCC”) for allegedly violating § 1692(e) of the FDCPA, claiming that NCC failed to disclose the impact of the statute of limitations had on the debt. What Does This Mean For Creditors and Debt Collectors? In the day-to-day operations, little is likely to change. If you were already providing full disclosure of the statute, even if just to err on the side of caution, you may now be laxer in your explanation, if not eliminate it from your bit. However, in matters of debtors attempting to squelch obligations by claiming that the collector did not disclose the statute in detail as a defense, as it has now been determined not an attempt to deceive. Does someone owe you a debt that you are attempting to collect with no success? Burt and Associates offers a range of services that are a part of the collection process. Please contact us, today, to speak with someone for evaluation. The sooner, the better, as the odds of collecting a debt that is past due by more than 61 days is reduced to 60%.